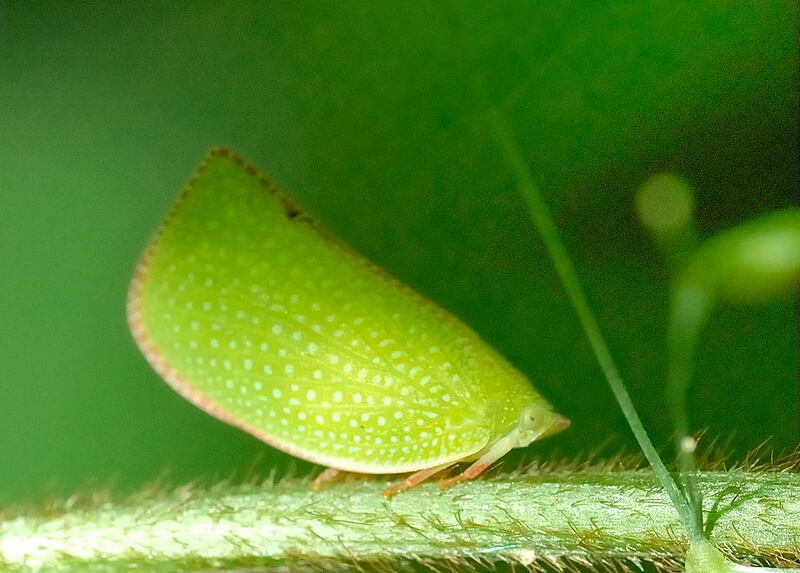 This page contains pictures and information about Green Mottled Planthoppers that we found in the Brisbane area, Queensland, Australia. 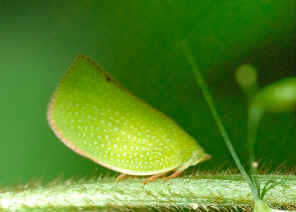 This Green Planthopper is triangular in shape with pink eyes and a pointed head. 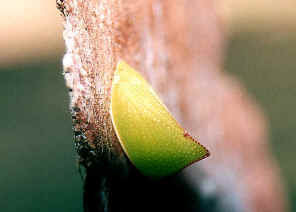 The forewings cover the body like sloping roof when it rests. This species has the dot patterns on the wings with brown wing edges. 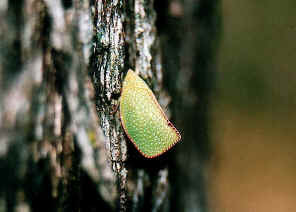 We thought this species was Siphanta acuta. Dr. Murray Fletcher sent us email advised that it might be S. hebes rather than S. acuta. 1. Siphanta hebes - Fletcher, M.J. and Larivière, M.-C. (2009 and updates). 2. Siphanta acuta (Walker) - Fletcher, M.J. and Larivière, M.-C. (2009 and updates).